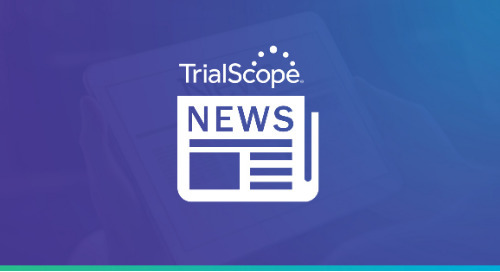 Jersey City, NJ – Feb. 6, 2019 – TrialScope, the global leader in clinical trial transparency and compliance solutions, today announced that Chief Strategy Officer Thomas Wicks will deliver a presentation at the European Centre for Clinical Research Training’s (ECCRT) Data Transparency Conference in Brussels. The presentation, scheduled for 14h00 - 15h30 Feb. 12, is titled “Watchdog Initiative: Keeping Tabs on Transparency Advocates.” Wicks will explore how sponsors can keep up with increasingly stringent disclosure regulations and how to meet the expectations of transparency advocates. As the issue of data transparency becomes more prominent among regulators and advocates, Wicks, along with his industry peers, will tackle the topic from different angles at this two-day event. In his session, Wicks will explore advocates’ perspectives and suggest actionable strategies to respond to these challenges. Global regulations dictate that sponsors cannot be selective with what data they wish to disclose. Advocacy groups, such as AllTrials and Bioethics International, regularly publish their assessments of clinical trial sponsors’ disclosure practices on tracking websites and in leading industry journals.